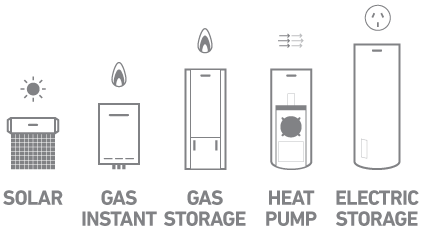 Hot water systems in strata have been shown to contribute significantly to the total energy cost of a building. Therefore upgrading to a more efficient system for common areas and apartments can both reduce energy consumption, and combat uncertain future electricity costs. Solar hot water systems would seem like the best choice in terms of energy efficiency, but can be difficult to retrofit into existing buildings. It can also require a lot of roof space for the solar panels required to service the hot water unit. Heat-pumps also seem to be a good choice except the unit needs to be outside and are quite noisy.